At Wagner Meters, we understand how damaging and costly moisture intrusion can be in a home or building. It can lead to foundation cracks or settlement, wood rot and decay, pest infestations, metal corrosion, and perhaps worst of all, mold growth. Determining the extent of moisture intrusion and migration requires the use of reliable and accurate moisture measurement tools. 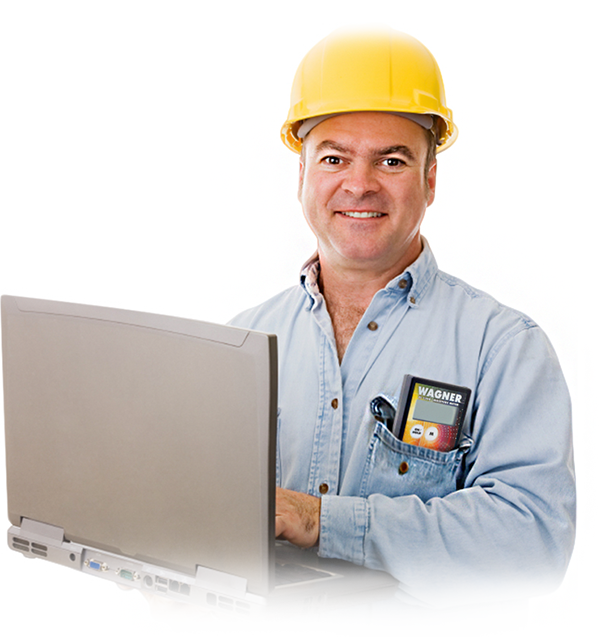 They enable you to provide property owners a more valuable and thorough inspection. Professional-grade moisture meters and other high performance moisture detection/measurement equipment streamline the inspection process by helping you quickly and accurately detect the exact locations of moisture and water intrusion within a home or building. While possessing this kind of information, homeowners, property owners, and even buyers can make informed decisions on how to deal with this problem. With its long-standing reputation for manufacturing highly accurate, reliable moisture detection equipment, Wagner Meters gives building inspectors and mold remediation specialists complete confidence that they are obtaining useful moisture readings. Knowing the full extent of moisture damage is critical for effective restoration and remediation. the Building Inspector’s Ultimate 5.0 Inspection Kit. 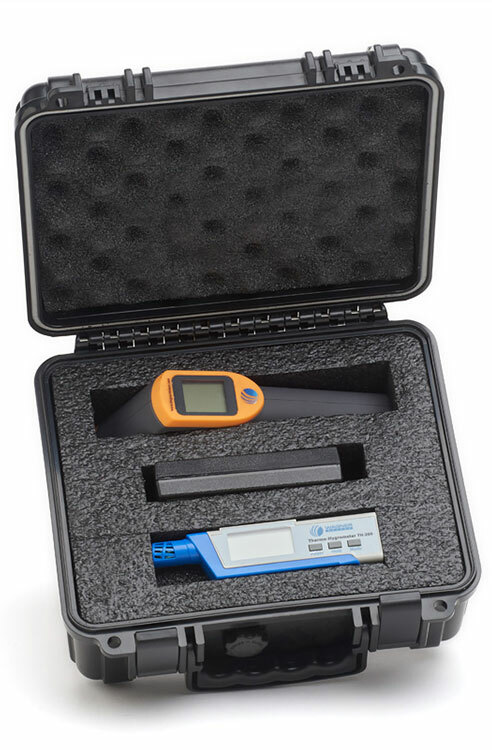 The Basic Inspection Kit includes the BI2200 Building Inspection Moisture Meter, the TH-200 Thermo-Hygrometer, and the Infrared Thermometer. The BI2200 – designed with a range of features, such as the Press-and-Hold feature for tight spots – helps you quickly and accurately measure the moisture content in a wide range of materials without marring their surfaces. 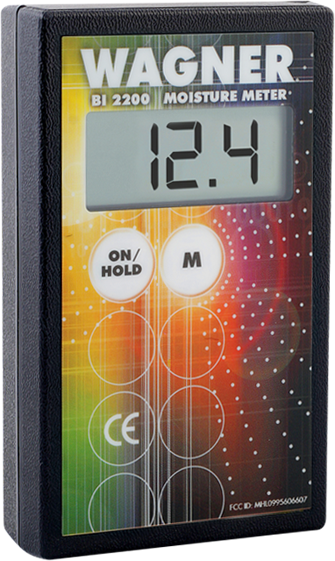 The TH-200 Thermo-Hygrometer accurately measures temperature, dew point temperature, and relative humidity, while the Infrared Thermometer assesses and verifies the temperature of concrete slab surfaces. 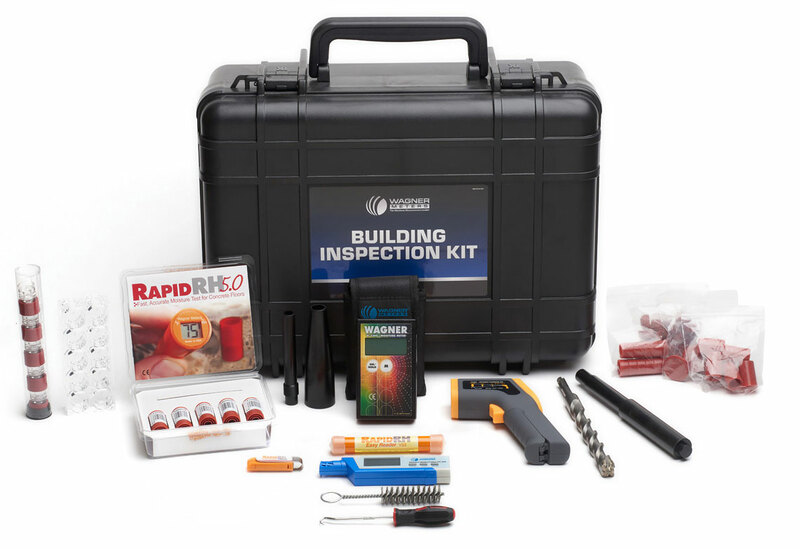 The Ultimate Inspection Kit includes everything contained in the Basic Kit, plus the Rapid RH® 5.0 concrete slab relative humidity testing package that meets the ASTM F2170 test standard. Wagner developed the Rapid RH® with Touch-n-Sense™ technology for accurate, virtually automatic relative humidity testing of concrete. 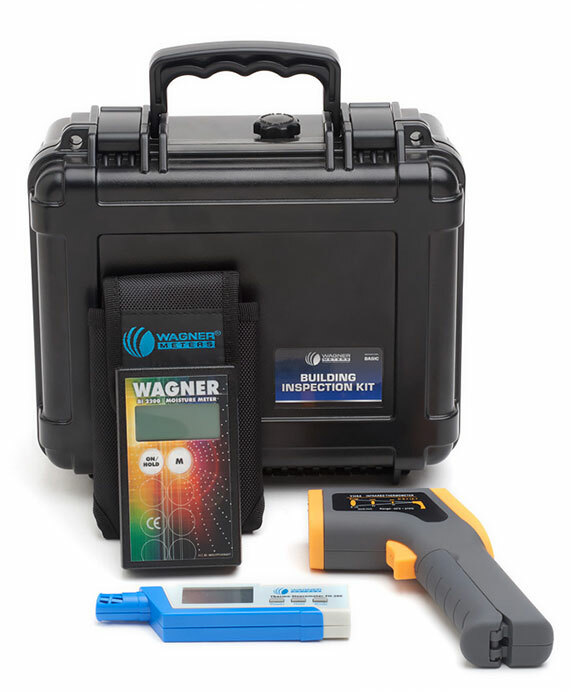 When you purchase an inspection kit from Wagner Meters, you can be assured that it will provide you with moisture-detection equipment of the highest quality for the utmost reliability and accuracy. Our 50+ year track record of quality performance stands as proof. In addition to providing you with professional-grade equipment for exceptional accuracy and reliability, Wagner Meters also offers you superior technical service and customer support. It’s why customer satisfaction ranks so high among Wagner Meters’ customers. Of course, we wouldn’t want it any other way!